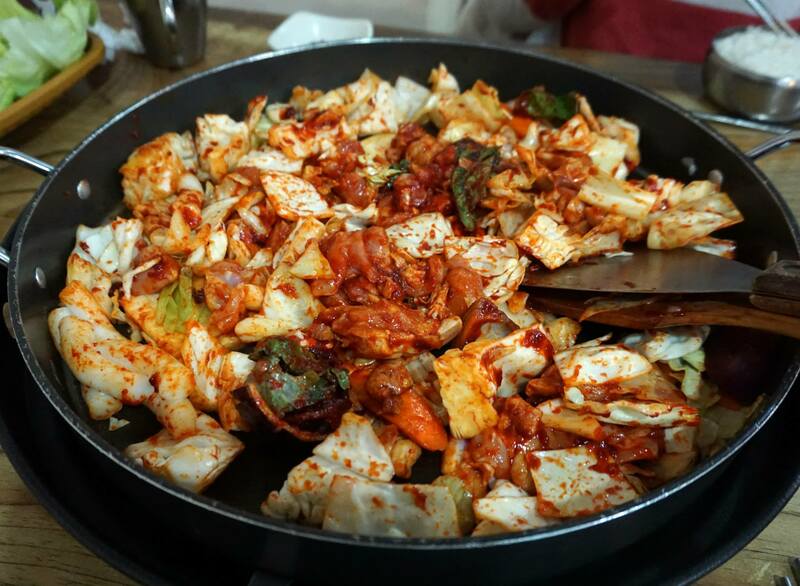 PR Korean Restaurant is one of the few restaurants in Sydney that serve up Dak Galbi in it’s traditional form, we first tried this when we were in Seoul staying in the university district of Sinchon. The picture above is the end result of about 15 minutes of cooking a mixture of vegetables, chicken and chilli paste on a hot plate situated within the table and then eating half of it, it’s quite similar to Korean BBQ. 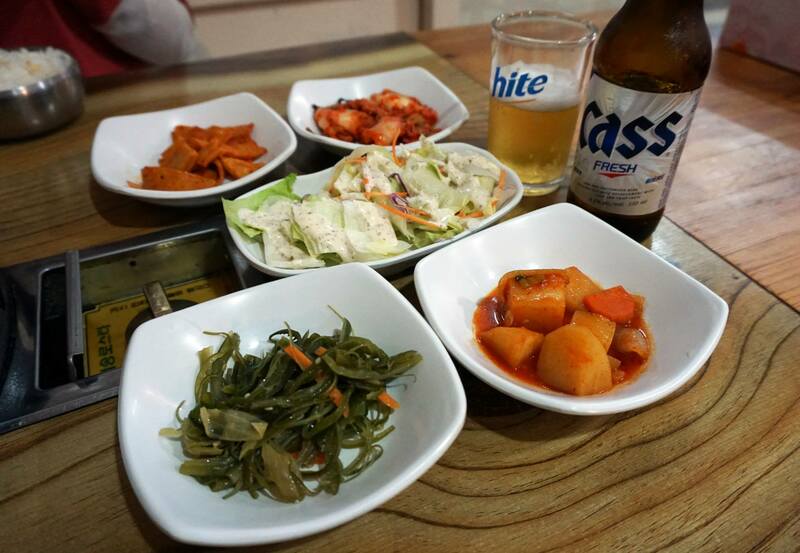 As expected of almost every Korean restaurant we were given generous servings of banchan, we didn’t need to ask for any refills because the meal was so filling but you get the usual seaweed, potato, salads, kimchi and fishcake that you would get at any other Korean restaurant in Sydney. You start off by picking how spicy you want it and then it takes around 15 minutes to cook because there’s a lot of ingredients, the worst part about this dish is waiting for it to cook and having the delicious smell waft constantly over you. 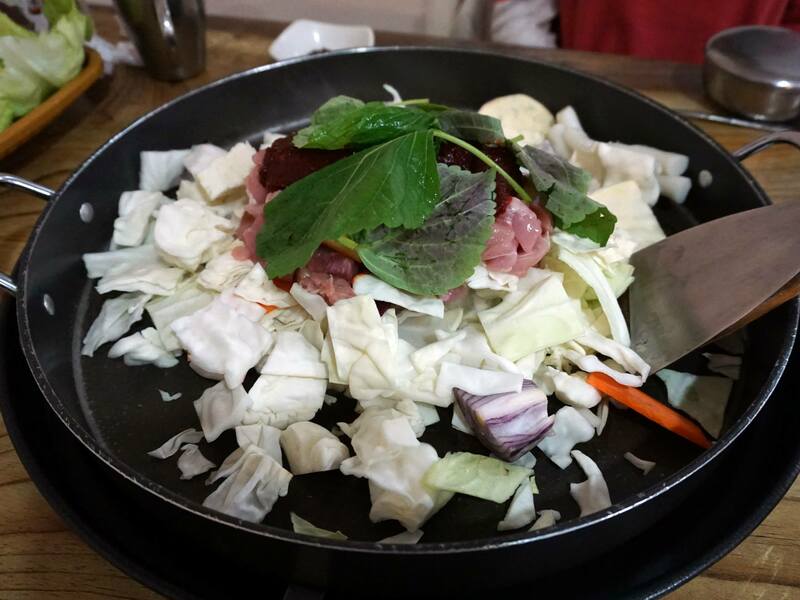 The best part is definitely that the staff generally cook the dish for you and you just sit back and watch it unfold before your eyes, it stays hot for at least 30min after the heat is turned off. 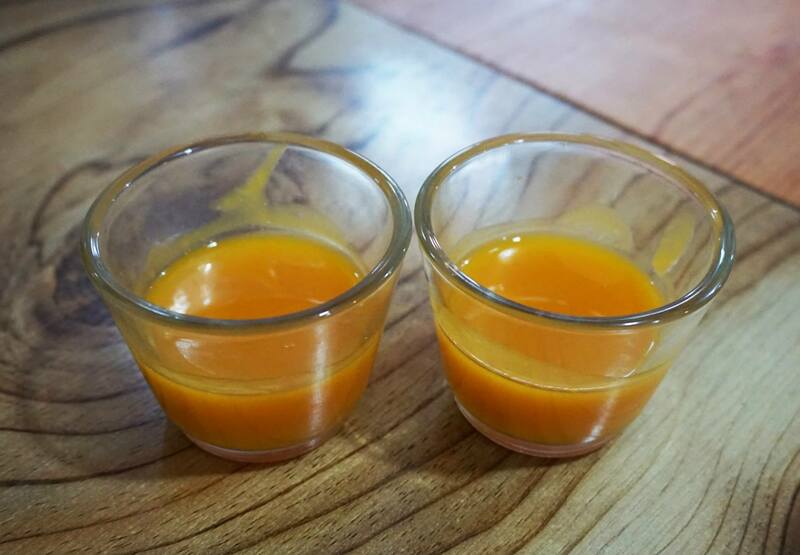 Complimentary pumpkin soup served in little shot style glasses, no alcohol in this one guys 😉 Very creamy just how I like it and not too sweet nor salty, perfectly accompanies a winter meal like this. 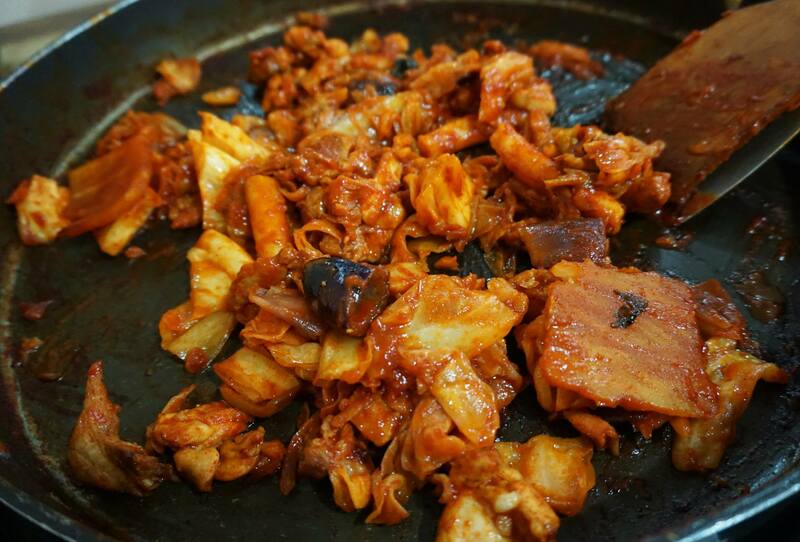 As fans of Korean food we have to say that Dak Galbi is one of the cheapest and delicious meals you can have and if you’ve not experienced it before you should definitely check it out. The meal costs under $40 for two (even cheaper in Korea) but could almost easily fill three people up if you eat it with rice. Super keen to try this place. Sounds awesome!